Peeling involves applying a solution on the skin, inducing desquamation of superficial cells and therefore forcing skin renewal. This is the type of peeling we practice the most in our clinic. They are popular and well tolerated and the skin renewal effect is superb. Based on trichloroacetic acid, TCA peelses peels can reach superficial to middle dermis. Depth depends on TCA concentration. This highly appreciated peeling by both men and women corrects irregularities, evens out skin tone by removing dark spots and sun damage, surfacing wrinkles and acne scars (smoothing effect). A clearer complexion is achieved, and skin texture (dilated pores) is improved, with a luminous glow to the face. The results are also very interesting in terms of dark circles under the eyes. In some cases, 1 to 3 peelings (2-6 weeks interval) will be useful at first. After that, one peel per year (in Autumn) should be sufficient to erase any sun damage and provide efficient anti-aging prevention. In the days following treatment, desquamation (skin shedding) occurs, which can easily be masked by the use of makeup and a good hydration of the skin (cream, oil). No downtime necessary. However, due to the appearance of "dry" skin, it is best to avoid having meetings and really important encounters during the week following the peel. Normal daily activities can be continued without problem (except sun exposure). Desquamation is painless, discrete, and the skin underneath is beautiful, devoid of pigment, wrinkles and redness. Superficial peelings (fruits acids) are light, very superficial, give a freshening effect. Deep peelings, such as phenol, are useful only for very damaged skin. We do not perform TCA peels during summer (unavoidable sun exposure). It is essential to avoid any type of sun exposure (natural or solarium) as well as self-tanning lotions for at least two weeks before and two weeks after each peeling. Skin type I-III fare better with TCA peelings than phototypes IV-VI. 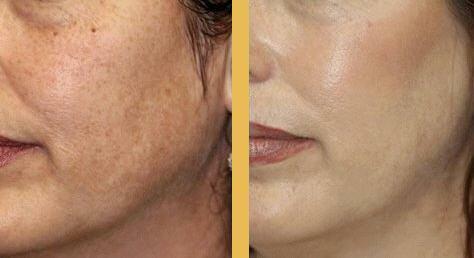 The risk of reactions is increased with dark skin (depigmentation or localized pigmentation). 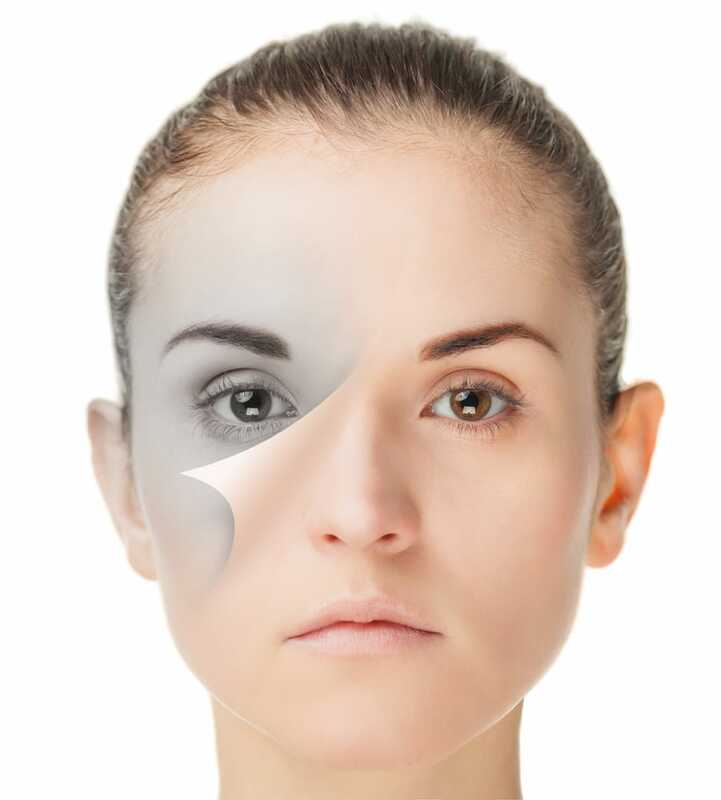 Chemical peels should not be carried out in case of potentially cancerous lesions on the skin, a wound, a recent sunburn, local aggression of the skin (dermabrasion too recent). Herpes labialis or other local skin infections should be cured before this type of intervention. TCA peels will not be applied to keloids or hypertrophic scars (depth 5,6,7). A TCA peel is not indicated for pregnant, lactating women, children, people with immunosuppressive illnesses. Any prior treatment that might affect skin permeability or capacity to regenerate must be avoided before a peeling. Patients who easily develop post-inflammatory hyperpigmentation or who have extremely fragile skin should avoid chemical peels. A TCA peel treatment lasts approximately 20 minutes. Whilst you are lying down comfortably, makeup is removed by the peeling technician before application of the first layer of TCA solution, area by area, eventually insisting on pigmented lesions, scars or wrinkles. After 1-2 minutes, warmth and a tingling sensation appear. The technician applies a post-peeling mask, which completely stops all unpleasant sensations in just a few instants. This mask is an essential part of the process and must not be removed nor washed (no water) for the following 8 hours. Dry skin begins to peel around the 3rd day and usually finishes at day 7. It is not painful at all. 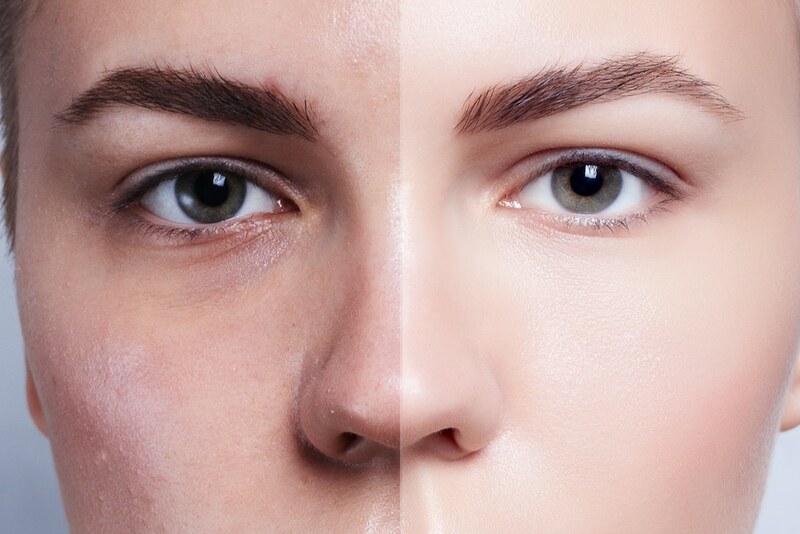 Pigmented lesions seems darker, skin is tight due to dryness, like after a mild sunburn, which can easily be arranged with regular hydration of the skin. The peeling technician will gladly advise you on recommended creams for this treatment. At the end of the 7 days, the peeling is complete, your skin is soft, clean, glowing, pores are refined, spots and wrinkles are fewer. It is important to avoid direct sun exposure during the treatment, and except in winter, use of a 50 + sunblock is recommended throughout the treatment and until the end of the second week after the last peeling. Desquamating skin must not be rubbed or pulled. Instead, leave skin to dry and then peel naturally. Skin scrubs and masks should be avoided during treatment. TCA peelings may be repeated 4 times (allowing a 15 day delay between peelings). A maximum of 4 consecutive peelings can be carried out, after which at least a 3 month rest period for the skin is recommended before any new peeling is envisaged. Autumn is highly recommended for peelings, so as to erase the harmful effects of Summer’s sun exposure. This will limit occurrence of pigmented lesions in the future, and it is known that appropriate skin renewal after the Summer significantly reduces skin aging process. We recommend associating peelings with mesotherapy, to nourish and stimulate the skin, helping it to renew itself with even more vitality and hydration.